1) Water to blood: I put red powdered drink mix in the bottom of a dark container and had one daughter pour clean water into it. 2) Frogs: We just hopped around like frogs. 3) Gnats or Lice: The girls put various colored office dot “bites” all over them. 4) Flies: I sprinkled pepper on the girls hands and they “shooed” it away (it’s a stretch, but it was all I could think of)! 5) Diseased Livestock: We made our toy cows fall over like they were sick and/or dead. 6) Boils: We used bubble wrap to make “boils”. 7) Hail: I threw marshmallows at them! 8) Locusts: We made our grasshoppers jump. 9) Darkness: The girls covered their eyes and walked around in darkness. 10) Death of the firstborn: We “painted blood” (really we used tissue paper strips) around a doorway. We practiced forming the letter i with craft sticks and office dots in the Alphabet Notebook (which is just a notebook with each letter of the alphabet written on a separate page). We made a few “jumping” grasshoppers. A bug jar is essential to a unit on insects! Here is another example of an insect jar we’ve made in the past. It was such a nice day, we went on a bug hunt. She made play dough bricks while listening to the story of Moses and pharoah. We did a simple review game we did to practice letters and sounds. I wrote the number two on a sheet of construction paper. My daughter used pieces of yarn to outline it. We made fingerprint insects on the printable i (included in the download). We have a few different fingerprint ideas over on this Bug Hat post. 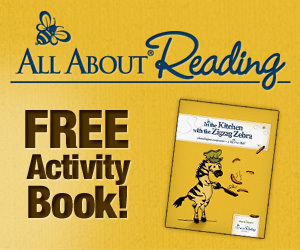 Make a Caterpillar to Butterfly craft. Try out a Bee Buzzer. Paint a Ladybug Rock or make a Ladybug Snack. 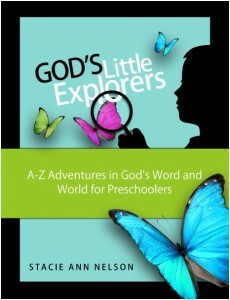 Download God’s Little Explorers Week 7. !! Super! Bring them on over to my house–we can find some flies here! I love the way you put the photos together for the plagues. Great activities again! This was our ‘i’ week with God’s Little Explorers. We are really enjoying our trip through the Bible. Thank you Stacie! Hi, Nicole! It’s really up to you. You could do the first week as an introduction and then just jump in where we are–or you can just work through it at your pace. I don’t think it really matters unless you really wanted to have the lessons on Jesus’ birth fall at Christmas and the Resurrection lessons to fall around Easter. I’m so sorry to hear you are not feeling well–that can be so difficult. Praying that you will have renewed strength!